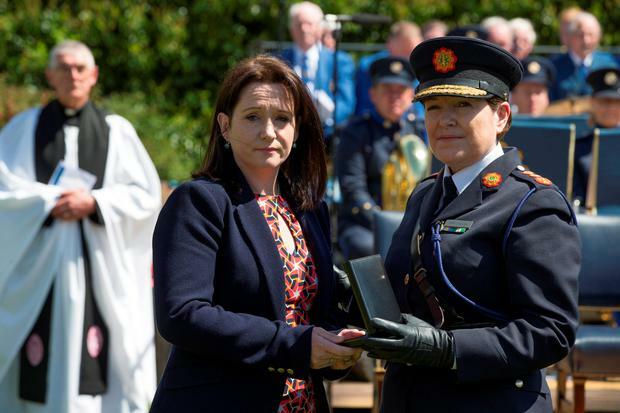 The wife of a garda shot dead last year has been presented with a medal at an annual memorial day for officers killed in the line of duty. 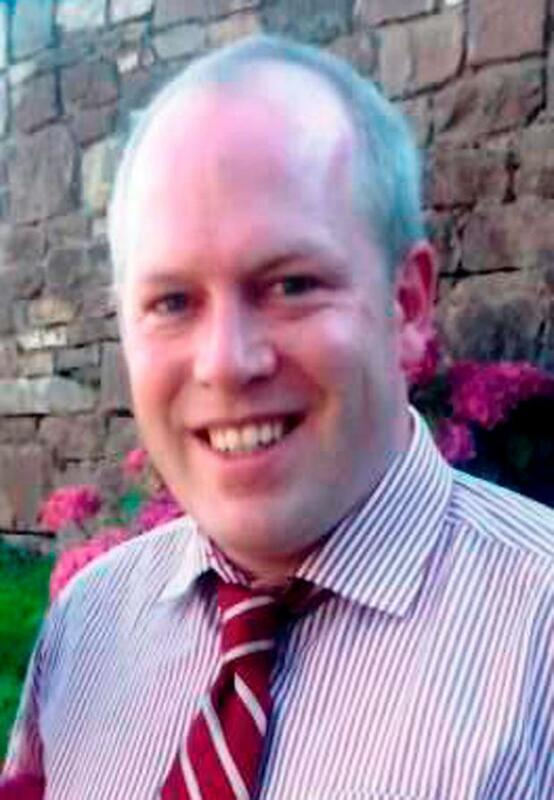 Garda Tony Golden was shot dead while responding to a domestic dispute in Co Louth in October of last year. In a moving moment at the annual memorial day for deceased members of An Garda Síochána his grieving widow Nicola was presented with a remembrance medal by Commissioner Noirín O’Sullivan. The garda chief, who was joined at the event by Justice Minister and Tanaiste Frances Fitzgerald and Taoiseach Enda Kenny, went on to pay tribute to Garda Golden after telling the gathering that 88 members of the force have died since its inception. “Tragically, of course, that number increased since we were here last year with the death of our colleague Garda Anthony Golden. “Courage was what was undoubtedly shown by Garda Golden. A committed community Guard who was protecting a vulnerable person, Tony was murdered in cold blood for simply doing his job. She also paid tribute to Detective Garda Adrian Donohoe who was also gunned down in Co Louth. Detective Garda Donohoe’s young son, who was just six when his father was murdered in January 2013, read a prayer at the solemn ceremony. Commissioner O’Sullivan continued: “Statistics - numbers like 88 - are always plural. But tragedy? Tragedy is always singular. Tragedy is the aching terror of a loved one answering the doorbell, seeing the two blue shadows through the glass, and knowing before they are told, that they have lost a loved one. Taoiseach Enda Kenny said the death of Garda Golden shook the nation. “In October last year the country stood appalled at the death on duty of Garda Anthony Golden who was simply thoroughly doing his job. A young community garda.